Supporters of Democratic presidential candidate Bernie Sanders are in fight back mode after their candidate was unable to pass his opponent Hillary Clinton during the primary, by suing Democratic National Committee Chair Debbie Wasserman Schultz (DWS) for fraud and negligence. Proving that they aren't just poor losers, the 104 Bernie backers are joined in the class-action lawsuit by 17 others who claim the system of choosing a nominee for the party was rigged and its chair, long-time Clinton insider DWS, is to blame. Filed by a Miami-based law firm in the Southern District Court of Florida this week, it claims DSW lied to both the DNC and Bernie Sanders supporters over her “neutrality,” instead favoring Clinton. Citing the DNC charter, the suit notes how the party's chair is meant to exercise and maintain “impartiality and evenhandedness” during the presidential nominating process. Lawyers say the DNC, through DWS, “devoted its considerable resources to supporting Clinton above any of the other Democratic candidates” and that it “actively concealed its bias” from its own donors as well as donors to the campaigns of Clinton’s rivals, including Sanders. It’s argued that the “truth of the DNC’s deception” can be found in the Guccifer documents, pointing to one leaked DNC memo from 2015 which showed there was “a suggested strategy for positioning and public messaging around the 2016 Republican presidential field” and the importance of providing “a contrast between the GOP field and HRC [Hillary Rodham Clinton]," long before any Democrats cast their votes in the primary or caucuses. Summonses issued for the DNC and DWS by the Court Clerk for #DNCLawsuit Go to https://t.co/DHsogOAIzL for details. “The DNC devoted its resources to propelling Clinton’s candidacy ahead of all of her rivals, even if this meant working directly against the interests of Democratic Party members, including Bernie Sanders’ supporters,” reads the filing. 1. We have gotten reports that DNC may be threatening to "de-credential" delegates who choose to participate in #DNCLawsuit class action. “Defendants’ conduct was so reckless or wanting in care that it constituted a conscious disregard or indifference to the rights of the DNC Donor Class Plaintiffs, the Sanders Donor Class Plaintiffs, and members of the DNC Donor Class and the Sanders Donor Class,” it added. @seanhannity Isn't it funny that Debbie Wasserman-Shultz has disappeared off the face of the earth? Similar accusations of “recklessness” are leveled with regard to counts of negligent misrepresentation, unjust enrichment, breach of fiduciary duty and negligence (with regard to the protection of personal and financial information of DNC donors). 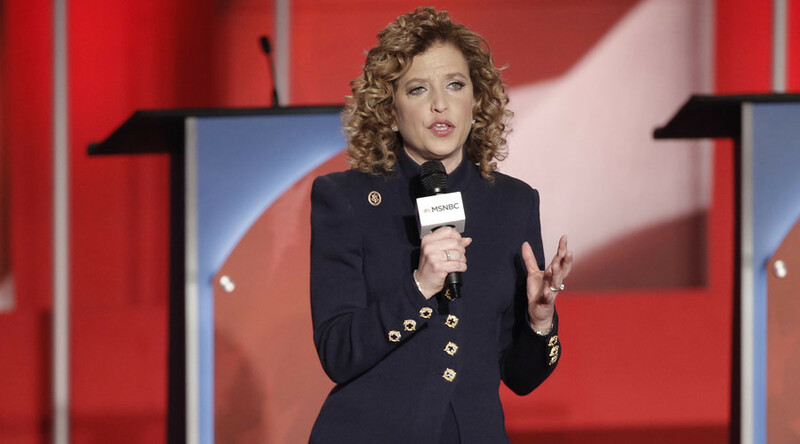 The suit also claims that the donors are “consumers” of the DNC and as such have had their consumer rights breached, as outlined in Washington DC’s unlawful trade practices.